Take a minute-by-minute journey into the glittery heart of the greatest (and only) glam rock movie of the 1990s, Velvet Goldmine. Who killed Brian Slade? What's with the Oscar Wilde obsession? Why did Bowie sue? Couldn't they afford sturdier trousers for Ewan McGregor? These, and many more questions will be answered by your hard-rocking hosts, Mike Grasso and Jenny Anckorn as we take on... THE WHOLE SHEBANG! 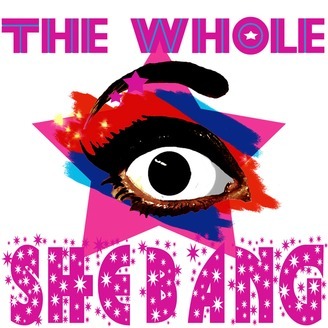 In the final minute of The Whole Shebang, Mike and Jenny thank their generous Patreon supporters, their lovely, talented and glam guest hosts, and talk a little bit about Velvet Goldmine, watching it for the podcast, and how their opinions of the film may have changed over the 24 weeks of the podcast. Thank you, everyone! 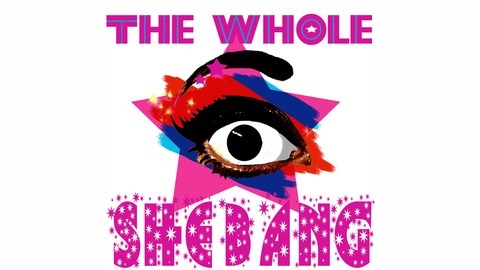 Find us on the web at thewholeshebangpodcast.com, and on Facebook, Twitter, and Patreon at wholeshebangpod. The Whole Shebang Minute 116: Grips and Gaffers and Boys, Oh My!